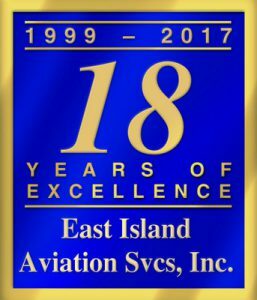 For over eighteen years, East Island Aviation Services, Inc. has been providing a variety of air terminal services to airlines and aviation authorities globally. Our core group has over 75 years of experience in the industry. In addition to aircraft parking layout & engineering, East Island Aviation represents a comprehensive group of manufacturers and service providers specifically targeted to our industry. Our team of partners is widely recognized as leaders in their fields. In 2007, we added two new members to our group. East Island Aviation is proud to announce the addition of Allied Manufacturing as part of our exclusive affiliates. Allied is globally recognized as a leader in the design and fabrication of custom structural and ornamental steel structures. Through our partnership with Allied, East Island Aviation can now offer a wide range of specialty aviation metal work for airside and interior terminal environments. In addition to Allied, we are also pleased to announce East Island Aviation has become an official sales agent for Airport Bridge Company Inc. For over fifteen years ABC has been providing comprehensive Passenger Boarding Bridge services throughout the U.S and abroad. East Island Aviation has assembled an “industry-specific” group of manufacturing and service partners who understand the air terminal environment. We are proud to represent AirTech, Airport Bridge Co, Allied, MDI Industries, Deluxe Industries, Planar, Safety Markings, Electrograph, Certified Interiors, Renu, Millburn Flooring, GM Data Communications, Emanon Electric, Almo, Robly Mechanical, GSA Architecture, BillerReinhart Engineering and Synnax. Feel free to contact us regarding any of the services listed above. We look forward to working with you in the future. Click here for our Authorized International Sales & Service Agents. This first presentation takes you on a tour of our manufacturing facility. See our factory in action building passenger ramps, walkways and gantries from initial fabrication to final assembly. The second presentation will give you a better understanding of our full line of products and field services, in, and around the Terminal. See our highly skilled & experienced field service technicians as they install FIDS monitors, assemble three-story terminal ramps, rig loading bridges and PC Air units just to name a few! Feel free to Contact Us for a more in-depth and comprehensive understanding of how East Island Aviation can help you improve you terminal environment and efficiency.